These past few years leading up to and under the Trump administration have been a tumultuous journey, which has left me feeling unmoored from my foundations and shaken to the very core of my identities and beliefs. I have felt disillusioned and betrayed by the broader American “Church” since 45 was elected. 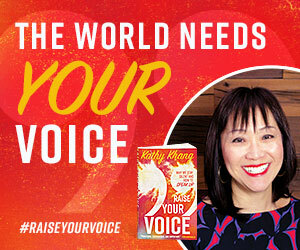 As a second-generation Taiwanese American Christian woman, I have felt disillusioned and betrayed by the broader American “Church” since 45 was elected. I have spent many hours since that fateful day breaking down what it truly means to be a Christian, and in the process, deconstructing everything else: church, my understanding of doctrine, history, my family. What is God showing me in the midst of all this? These past few years have also been an exercise of faith, even as the American Church confuses the prosperity gospel for the gospel of Jesus, consistently aligns itself with power rather than the poor and oppressed, and concerns itself more with legislating morality rather than living it out. I continue to be bewildered by how the Church pats itself on the back for sending gift boxes to children halfway across the world each Christmas, while simultaneously supporting policies that turn away refugee families fleeing persecution. Two years into this administration, I am still grappling with how pastors whose sermons I have followed, worship leaders whose songs I have sung, and leaders whose counsel I have sought in the past can continue to support an unethical man, administration, and policies that are antithetical to Jesus’ message of love, grace, and compassion. Like many of my friends, my privileges as an American-born, well-educated, East Asian American shielded me in my bubble until this election and administration served as a clarion call to reexamine the narratives of our nation. I urgently realized the need to confront the ways in which politics, money, and power have played a larger role in the formation of my faith and American Christianity than I had ever realized from my Sunday School classes. To the former version of me that existed — worship team singer, Bible study leader, short-term missionary, previously self-identified evangelical — this current version of myself would have seemed like a heathen. My husband and I have only sporadically attended church since the days leading up to the election; we have not consistently plugged ourselves into a Bible study/small/life/community group for years; and between working, commuting in L.A. traffic, and having a newborn, we often rarely spend more time with Jesus than our quickly muttered prayers before each meal and bedtime. And yet I feel like I am arriving at a much closer truth of who God is than ever before. Racism, misogyny, homophobia, xenophobia, and white supremacy have always been embedded into the foundations of government and church in this nation. Stripped from the façade of morality and conservatism, the broader American Church has revealed through its alliance with a morally bankrupt administration that it indeed values power more than people. I am realizing now, far too belatedly, what many of my Black and Brown brothers and sisters have always known: that this is in fact the America that has always existed; that the Church has always been complicit; and that racism, misogyny, homophobia, xenophobia, and white supremacy have always been embedded into the foundations of government and church in this nation. But also, that God is near to the brokenhearted and uplifts the downtrodden. Because the Jesus I know did not promise riches and a big house. He warned us that this life would not be easy. The Jesus I know did not seek or secure power. He healed the sick, fed the hungry, and fellowshipped with the marginalized. The Jesus I know did not cast the first stone, but spoke with grace and compassion. The Jesus I know called out the religious leaders of his day who cared more about following the letter of the law than the Spirit of the Lord. After a lifetime of identifying with the righteous in sermons and considering Christians the oppressed rather than the majority, I realized that we’re the Pharisees in the story. I often used to wonder how the Church could have stood by as the world committed genocide and atrocities against humanity. As someone who studied history and worked to preserve, describe, and bring greater awareness to Holocaust and Nanjing Massacre testimonies, I often used to wonder how the Church could have stood by as the world committed genocide and atrocities against humanity. But I see now how long the arc toward justice really is, and how the faithful heroes of social justice we celebrate on Sunday mornings were often vilified and alone in the Church of their times. What are we doing today to stand on the right side of history? What are we doing today to stand on the right side of history? What does it look like to follow the radical Jesus revolutionary who wept, who welcomed the stranger, who cared for widows and orphans, and who called out hypocrisy in anger when he saw it in the midst of rising nationalism and xenophobia across the world? What does it look like to follow thoughts and prayers with action and advocacy? The glimmer of hope I’ve found has come from getting to know, sitting with, and learning from people unlike me and coming to embrace a fuller, more loving, and more inclusive version of the gospel, full of people who can challenge me to love Jesus and people better. Life exists in many more shades of gray than I had previously thought or imagined, and I’m learning to find beauty in the uncertainty, of trusting Jesus in the unknown, of holding close those who are on the same journey of faith. As one of just over 1 percent of Asian American archivists nationwide, I wonder in what ways the narratives we are taught about our diverse communities, our history, and ourselves are incomplete. 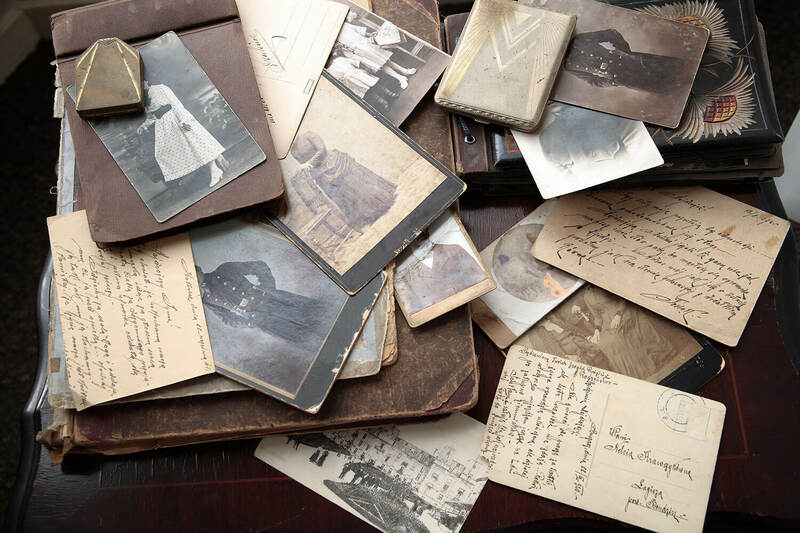 As an archivist, I have been taught and trained to collect and preserve memories through acquiring, arranging, and describing collections of documents, photographs, artifacts, etc. But as one of just over 1 percent of Asian American archivists nationwide, I wonder in what ways the narratives we are taught about our diverse communities, our history, and ourselves are incomplete. What could we learn about ourselves and about God if more of our stories were preserved and told? If we are all made in God’s image, what truths are we dismissing about God, when we dismiss parts of God’s beautifully diverse creations? I have been mulling over what and whose memories and collective stories I embrace as my own, both those experienced within my own family as Taiwanese under Japanese colonial rule and Nationalist martial law or as immigrants to America, and those stories formed by the broader history and trauma of Asian American activists. I am now finally learning more about Asian American history and activism as an adult than I ever did growing up, and am proud of both my specific cultural heritage and of my place in the broader Asian American community. I have long believed that preserving and passing on these stories are integral to recognizing and appreciating the diverse humanity and beauty of God’s people, but I am all the more convinced now that we must all take the necessary steps to continually deconstruct and learn from our own past as we work toward peace and a better future. We may still be rebuilding our foundations, but we’ve found hope in a bigger God than we had known. As a mother now, I wonder, what will I teach my son? What stories and whose versions do I pass on about his family and heritage? As a parent, what tools do I need to give him in order for him to write his own story while examining and engaging the context of his faith and life? As a librarian, it is my role to know how to find information on any given topic, to teach others how to evaluate resources and fake news, and to help make that information accessible — a role that has become all the more critical and urgent in this political climate as news and information continue to be entangled with misinformation and propaganda. As parents, my husband’s and my roles are similar: to guide our son toward a deeper curiosity and understanding of the gospel, with space for us to question and critically engage with the gospel and church as we learn and grow together as a family. Ultimately, I am grateful that this is where God has taken us. We may still be rebuilding our foundations, but we’ve found hope in a bigger God than we had known, and that is the greatest gift we have been given. 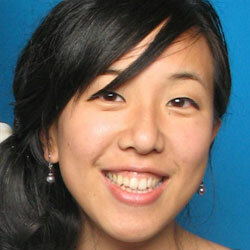 Joanna Chen Cham is a second-generation Taiwanese American librarian and archivist from Los Angeles. She is passionate about the intersections of faith, history, human rights, and social justice, and is committed to advocating for diversity in librarianship, archives, and the historical record. She loves eating, traveling, and handlettering, and is on a wild journey deconstructing her own history and faith while figuring out parenthood with a newborn.